Motivational speaker, Joan Frances Moran, knows how difficult and challenging it is to present change in a person’s life. 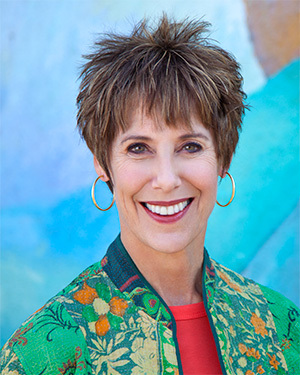 Joan is a creative thought leader who teaches management, employees and business leaders how to inspire creativity in the workplace, adapt to change, and achieve balance in work and in life. By encouraging audiences to stretch the mind at any age and get rid of mental inertia, Her all-inclusive message challenges her audiences to become a change agent for a healthier, happier and more productive life. People love their comfort zone in work and in life – old habits die hard – and fear of change produces paralysis in the areas of creativity and innovation in the work and in life. Joan helps solves these problems. Joan address three ongoing problems in work and in life: (1) mental inertia – a mind that lacks curiosity is a mind that cannot create; (2) resistance to change – encouraging small thinking and even less risk-taking; and (3) lack of balance both personally and professionally. Joan demonstrates how her Mind Fuel Tools for Life Renewal helps reduce stress and resistance, embrace change without fear and foster resilience as a way to grow and transform one’s life. Joan Frances Moran offers 3 powerful keynote presentations and 2 workshops for business groups, associations and conferences that opens up new strategies for transformative mindset changes. A less rigid mindset increases creativity and productivity, makes you more mindful and aware and encourages work/life balance. If you grow your creative mind, you will grow a creative life! Book Joan Frances Moran Today And Become a Creative Thought Leader!